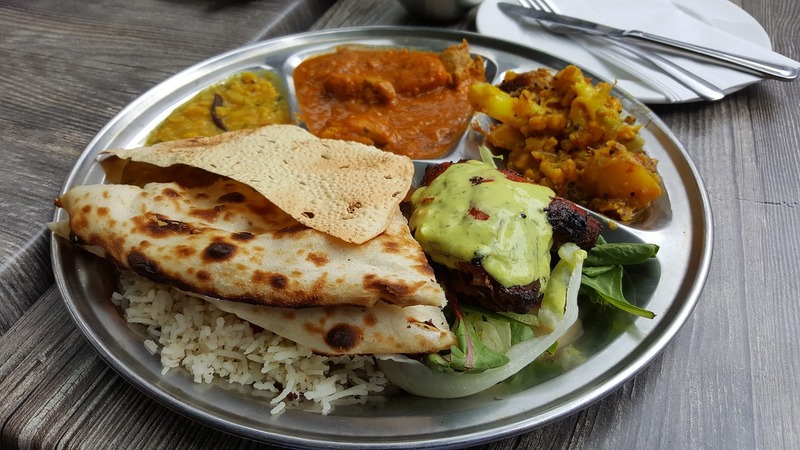 Indian cuisines vary from being exotic and rich to a cleansing relish of flavors. As tempting as it may be, if not eaten in moderation, Indian foods can lead to quick weight gain. Most people fail in their attempt to lose weight while continuing on Indian diet. However, its not that difficult if you give proper attention towards ingredients specific to Indian cuisines and a healthy lifestyle. Here are a few points to be noted down if one wishes to follow a nutritious track on Indian diets. Most importantly, you’ll have to remember a rule of thumb – “You’ll only lose weight if your calorie intake is less than what your body actually needs depending on your weight and nature of activity”. Indian foods primarily consists of vegetables, fruits, nuts, legumes, tubers, rice and cereal grain. Firstly, in order to improve overall health, it is important to stock on nutritive ingredients which can also be incorporated towards making small snacks, other than a day’s important meals. Vegetables- Spinach, with its all year-round availability, is rich in iron that helps in growth of hair and structuring skin. Tomatoes are a good source of vitamin C and K. Onion and mushroom prevent and fight diseases like obesity. Veggie soup, hummus with veggie sticks and Chaat can be wonderful evening snacks. Fruits and Nuts- fruits and nuts are the healthiest snacks that boosts metabolism. A mango is rich in nutrients and contains 65 calories per 100 grams. Watermelon, available during summer has a high amount of water that lessens the calories present in it. Other fruits such as guava, apple and pear can make excellent dishes as sliced fruits with yogurt and cheese. Nuts like almonds, cashews and walnuts on the other hand are rich in fibre and can reduce cholesterol and lessen stored fat if taken in moderation. Legumes- Legumes such as beans, lentils and chickpeas are rich in protein and dietary fibre and reduces the risk of heart attacks. Iron in lentils helps in distributing oxygen throughout the system. Chickpeas and beans can be incorporated in salads to make a hearty snack. Tubers- Boiled sweet potatoes maintain healthy blood pressure and prevents cancer. Yams are good sources of Vitamins A, C and manganese. Roasted sweet potatoes and yams release gas from the body. Cereal Grains- Brown and Basmati rice have high nutritional value and a 100% gluten-free food. Whole wheat bread, unlike white bread, reduce the chances of obesity and redistribution of fat throughout the body. Apart from having a balanced diet, avoiding unhealthy habits and adding workouts and exercises to your lifestyle would help you achieve your weight loss goal much faster and in sustainable way. You must strictly get rid of alcohol, tobacco and smoking habits. Also, try to cut down on junk foods, sugar and trans fat as they do excessive harm to your body. Instead, include some physical activity like jogging, mild running or swimming to start and try to raise the level gradually by shifting to HIIT training, weight training etc. Also, take a good sound sleep of 6-7 hours everyday. At the end of the day, fitness is not dulled down to just appearance but also to live a longer healthy and balanced life. Good eating habits can be taken up in any country no matter how delicious the local foods are. Key is to keep a check on whats goes into the body in order to fight the extra calories.